← Day 15 – Gotta’ Love a Tool that Works! This entry was posted in Blog, Goats, Pigs, Uncategorized and tagged 30 Day Farm Blog challenge, agriculture, beaver, farm life, goats, grazing, hogs, livestock, maypenny, permaculture, small farm, Vancouver island. Bookmark the permalink. Wow! That is such a great deal for you and for the Maypenny Farmers. I’m glad the hogs and goats will have a great place. 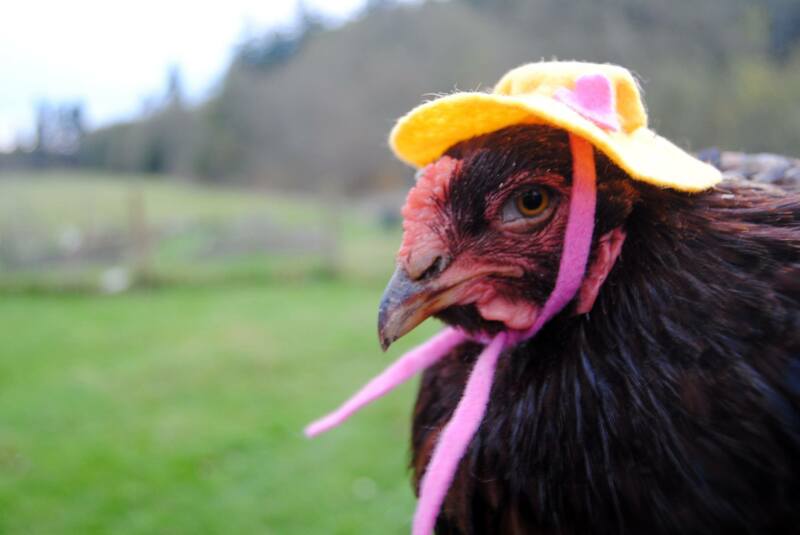 Love the chicken with the rain hat! Happy to help with fence building too. Thanks! I will definitely be in touch when we are ready to go! That is a win-win for both you and Maypenny Farm. We are on a quest for more land as well, having quickly outgrown our 8 acres. Hoping to start looking for about 30 acres in a year or so. Good luck with your search! It’s amazing how fast one can outgrow a bit of land, hey?